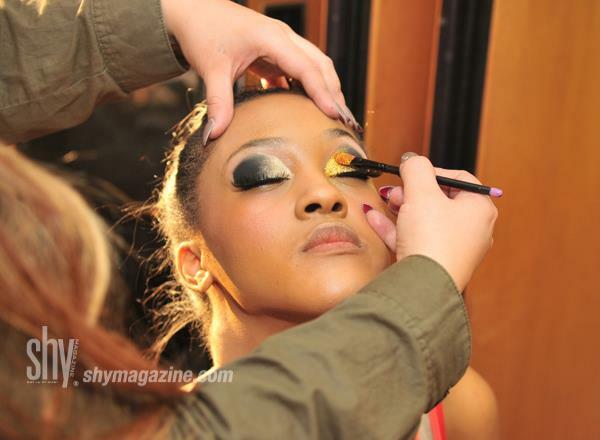 Professional Makeup Artist Josie Valdez makes a mark in the industry with her special style! Copa: Josie where are you from? Josie: I was born in La Paz, Bolivia and came to the US at the age of 6. I was raised in Rockville, Maryland. Copa: When did you first develop your interest in makeup? Josie: I’ve always loved doing makeup since I was a little girl. Although a little tomboyish I played with makeup on friends. Copa: How long has it been since you have established your business? Josie: I’ve been doing makeup professionally for 5 years. Copa: We have noticed that you have a special style, when did you develop it? Josie: I discovered my touch when I did a photo shoot with Maria who is the CEO of Photo Hispana she offered me to do make up for a few models. I bring the inner beauty out of all my clients. They are all comfortable with me because I satisfy their needs. Most important I ask my clients what type of look their going, this is one of the most important steps of being a professional makeup artist. After having an idea I am able to achieve the look my clients are looking for. There are many occasion when I have gone beyond my job description but it‘s all part of who I am as a person. My clients all come back because in me they not only find a friend but someone they can trust. I actually do see all my clients’ inner beauty before I do any makeovers. I think talking to your client and getting to know a little about them is very important. Copa: What was you most memorable makeup session so far in your career? Josie:​ My most memorable makeup session was a few years ago when I did a sweet sixteen. I was hired by the mom to do makeup and hair on 10 girls and herself. On the phone she explained to me that she’s never worn makeup and that she was a little worried. I made her feel very comfortable over the phone that she hired me to do the party. The day off we started with the part when I started to do her makeup I could see that she was nervous. I asked her why she never put any makeup on. She then started to chat with me and I was able to find out all the reason. She was married very young I think it was since she was 18 or so and she stated that she was raised in a home where the parents were a little strict and didn’t allow her to put any type of makeup on. When she got married it was a simple weeding and she said I only put Vaseline on my lips. After seeing her family I could see that the only simple person in the house was her. The birthday girl was about to turn 15 but she was nothing like her mom she wears makeup and loves to do her hair in different styles, the same for her son he had a stylist hairstyle and dressed well. I was also able to meet the dad and it was very surprising that he was the one that shopped for clothes with the kids. He has went to the mall himself to pick out what the wife was going to wear for the party and the dress for the after party for her daughter. This was very surprising to me since I know that most men hate shopping. He put me to the side and said please help my wife I try to get her to do something with her look but she just doesn’t ever want to. When I hear this I knew that I was going to make a change in her and in her life. After speaking to her little more she added that she didn’t have time because she had to be a house wife and that took all her time. That she was already married and she didn’t need to impress anyone. I shared my secrets to her I told her that no matter what lifestyle you have you must always take care of yourself. I gave her so many compliment that I made her smile. Being married doesn’t mean you have to stop looking good for your husband its feeling beautiful looking in the mirror every day and saying to yourself I still got it! So I started my transformation. I made sure that she was not close to any mirrors so that when she looked in it she would be surprised. After finishing with her makeup and hair I gave her the mirror and she started to cry. I remember saying to her please don’t cry you’re going to ruin your makeup, but I couldn’t hold it I started tearing myself. Then the husband and daughter came to see her and they were shocked. The husband gave her a hug and said I would love to see you look like this more often. She was so grateful and said that she would change her way of thinking and asked me to send her a list of things she needed to purchase. I’m still in communication with her and I’m so happy to hear that she has made a change in herself and is so confident. This was one of my most memorable moments on my career. Copa: What are some of you makeup beauty products? Josie: One of my favorite makeup products has to be Mac and Makeup forever. Copa: What can our readers of Copa Style expect from your upcoming articles? Josie: One of the great features I will be covering for the readers of Copa style are what’s new in fashion and beauty. Being a successful makeup artist has taught me a lot. I have meet so many people in the industry and have been able to transform not only celebrities but normal people like you and me. My article will cover all age groups and styles. To me every woman is beautiful! !